Raghu Nath Sharma likes this. tecpower Buy export stocks like New Hoong Fatt. The next QR should be very good. chankp7010 I am confident that by end of May 2017, RM4.50 can be achieved. luckycharm This counter diam diam always suprise me with the price movement..
tecpower just profit taking. now is a good entry point. chankp7010 NHF will be having AGM on 1/6/2017 at Sime Darby Convention Centre, Anyone interested to attend, please ask the Board as to whether there is a possibility of Bonus issue as NHF NTA has exceeded RM5/- and for decades, NHF never issue any rights, bonus shares to loyal shareholders. chankp7010 My prediction for NHF to achieve RM4.50 before end of May 2017 was not achieved but it will very likely in June 2017 as the current market price is RM4.43 up 7 cents. Just wonder those who had attended AGM on 1st June, 2017, did they enquiry about bonus issue? chankp7010 NHF has just waken from a slumber; yesterday up 32 cents, now as at 11.10 a. m. up 22 cents. Any Sifu can predict trading price for NHF up to end of the month?? luckycharm i think rm 5.50...but am keeping coz believe nhfatt another fatt counter in da makin..
chankp7010 Thank you luckycharm for prompt reply. Hopefully, RM5.50 will be forthcoming. bclim_83 The company is confident of double digit growth this year. 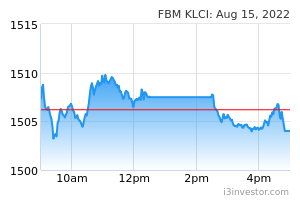 Managing director said before he valued the company at the PE of 20, that means the share price should be ard rm 8. Looked at small cap companies such as jhm, kesm and ajinomoto. All trade at PE of 15-20.
chankp7010 Instead of hoping for RM5.00-5,50 for NHF, we are now getting RM4.36. What happens? Is there any change in management, policy, directors or operation. The answer is obviously NO! Then, why such a drop in term of percentage? Only sentiment and human feeling that we can fathom. Ha Ha. Let us wait for another Quarter result for better assessment. Larrytrader Why two days drop so much? cheeseburger read the Qtr report..
Alex™ anyone can share what happened to this counter? Alex™ i saw it broke ema60 on weekly chart. Choivo Capital Well, this looks appealing. henry1112 Any shareholders here? any expectation or outlook to this stock?